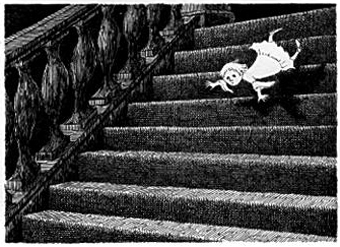 In fact, it is so much Edward Gorey that when I searched to find a representative illustration, I found the following eight that are literally characters or scenes from the book. 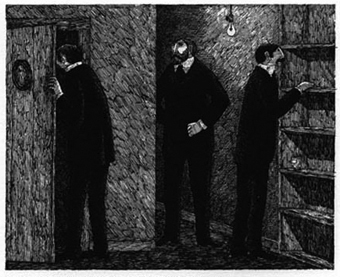 I’m putting them after the cut, not because they are spoilers, really, but so I don’t fill up the entire home page with lots and lots of Gorey illustrations. Charlotte, the mother: very beautiful in a frail way, and very theatrical. Florence, the housekeeper/cook: a formal, rigid woman, always dressed in unrelenting black. 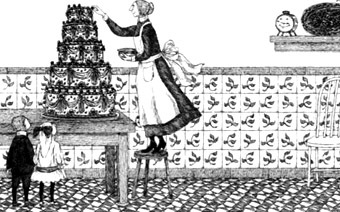 In case you think I’m exaggerating with these images, the book also features a brother and sister pair, Clovis and Emerald, and Florence creates a fancy cake for Emerald’s birthday. 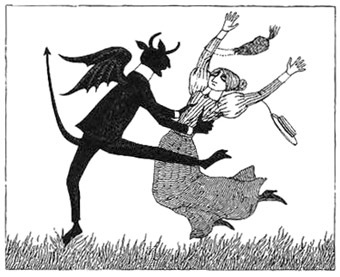 This one especially gets me: except for one person, there is a clear one-to-one correlation between the guests in Gorey’s party here and those in the book. 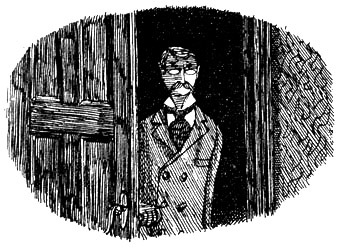 One of the guests, Ernest Sutten, is much admired by Emerald for his upstanding-ness, even though she finds his spectacles slightly off-putting. 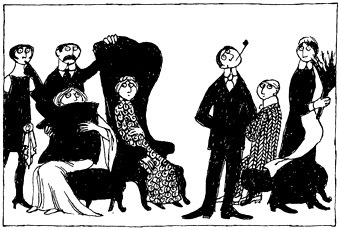 The three men in attendance of the birthday party must several times search the house for the wayward, titular uninvited guests. This, perhaps, needs no explanation. This will get no explanation; you’ll just have to read the book. 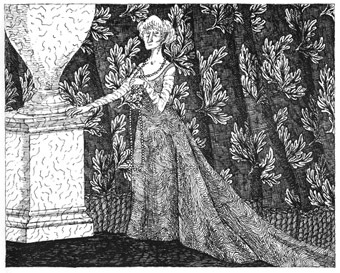 This entry was posted in Fiction and tagged Edward Gorey, Halloween reading, Sadie Jones, The Uninvited Guests. YOU ARE TOTALLY RIGHT ABOUT THOSE PICTURES. I’m glad you liked the book. It’s so weird and creepy and impossible to describe. And I’ll admit it took me an embarrassingly long time to figure out who the guests were. Okay, you have hooked me. I definitely need to read this. Good grief.